There is something rather frivolous about this product but I am still completely in love with it. 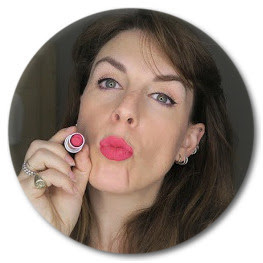 I have to confess that I had completely forgotten about Jelly Pong Pong until their Lip Frosting arrived in my July GlossyBox and after just one use I was reminded how I loved their other products I had tried quite a while a go. Not only is the colour beautiful and unusual, but the packaging and reasonable price make this the perfect package. The reason I say it's slightly frivolous is that it tastes so good ( Irish cream pavlova flavour) that really, you are going to chew this off within the first 10 minutes of wearing it. But I don't care - the residual colour still looks lovely and that's good enough for me. The colour is gorgeous, really unusual I think and although initially quite scary to imagine using on your cheeks as well does give a lovely glowing bit of colour even if it is a bit sticky. You have to apply this with your finger which is great because I often hate the applicators that lip glosses come with but does make the whole thing a bit messy (which is why its worth trying it out on your cheeks... use them as portable hand wipes!). I'm not the only one who loves it - it has been sold out on their website for the last couple of times I've had a look. If you manage not to chew it all off it soaks into the lips a bit and feels wonderfully moisturising and smooth and all Jelly Pong Pong products are guaranteed to not contain anything bad - no ammonia, sulphates, pthalates, or alcohol and they are against animal testing. Not only am I going to buy a tube of this Lip Frosting to keep in my kit (if a model is chewing it off I can dash in and reapply) but I'm going to buy a whole load of their other products to try out. I hope the colours are as gorgeous as this.